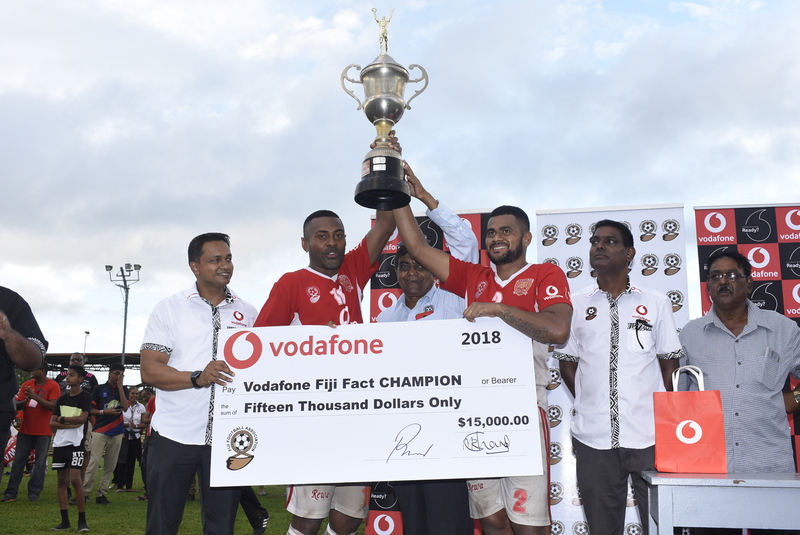 The Vodafone Fiji Football Association Cup Tournament (Fiji FACT) pool draws will be done this Thursday at Vodafone Shop at Tappoos City in Lautoka at 11am. The pool plays will be held from May 3-5 while the semi-finals and finals played a week later at Churchill Park in Lautoka. Fiji FA competitions manager Amitesh Pal said this year’s tournament would be more exciting. “We all know the Fiji FACT is the first major tournament in Fiji FA calendar and every team is looking forward to tag their name on the silverware, “said Pal. Pal said the eight teams would come out prepared as there was no easy way in the tournament. Last year Labasa and Rewa featured in the final after the Babasiqa Lions defeated Nadi 2-0 and Rewa won 1-0 against Lautoka. In the final Rewa came out winners after beating Labasa 5-3 in penalty kicks at Ratu Cakobau Park in Nausori.